The event, to be held on Dec. 7 and 8 in Santa Monica, CA., is a forum that will enhance beverage entrepreneurs’ ability to grow and innovate in the New Year. BevNET.com invites growing beverage companies and aspiring beverage entrepreneurs to attend an exciting event, BevNET Live Winter 2009, this December 8 at the Loews Santa Monica Beach Hotel in Santa Monica, CA. This one of a kind event will help beverage industry marketers, distributors, suppliers, retailers and investors work and think together to improve new products and increase their chances for marketing success. 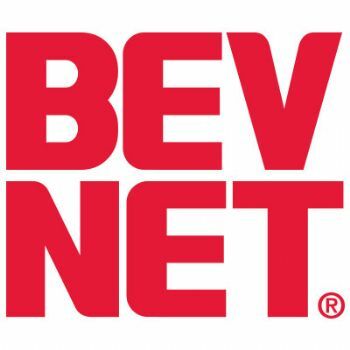 With the success of BevNET.com’s sold out conference this past May, BevNET Live has fast become the industry’s standard when it comes to giving beverage company leaders access to the experience and insights of noteworthy industry panelists and speakers, and providing networking and knowledge sharing opportunities. Speakers, panelists and attendees have found the opportunity invaluable when it comes to the exchange of ideas, the ability to ask questions and, most of all, to gain usable information about what it takes to create innovative new beverages and get them into the market. The first West Coast BevNET Live event will also inaugurate a new, highly valuable learning opportunity: “Beverage School.” A half-day event on Dec. 7 (the day before BevNET Live), Beverage School is a chance for aspiring beverage entrepreneurs to learn the basics directly from industry experts in a curriculum that touches on formulation, marketing, distribution, financing, and avoiding the costly mistakes that can sap even the most determined dreamer. With a strong focus on understanding the present state of the market and navigating the trends and obstacles that will be of key concern in the future, BevNET Live is the first event that helps companies consider growth strategies from the perspectives of both their fellow entrepreneurs on the brink of the big score and the veterans who have blazed their own path to success, as well as the investors, distributors, retailers and suppliers who enable that success to occur. Case studies and live mentoring from innovative beverage company leaders who share how they overcame their own obstacles – and share advice about overcoming yours. A special “Conscious Brands Summit” discussing the challenges and advantages of sustainable, socially conscious business strategies. A panel and presentation on new electronic marketing strategies including social networking and word-of-mouth. Beverage School, a special one-day preconference event with speakers and curriculum designed by BevNET.com with instructors from WILD Flavors, Cascadia Consulting and DASH Advisors. BevNET Live is possible through the generous participation of sponsors Wild Flavors, Amcor, and Sovereign Flavors.Registration information is available at www.BevNETLive.com. For more information, including sponsorship opportunities, contact John McKenna at (617) 715-9677.